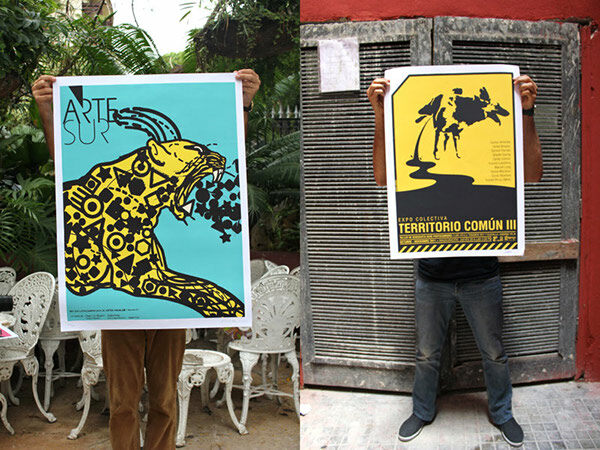 Help us to give Cuban poster art and design an international platform! Slanted Magazine #21 will be published in spring 2013 with a volume of 320 pages and will be the most extensive issue we ever published. 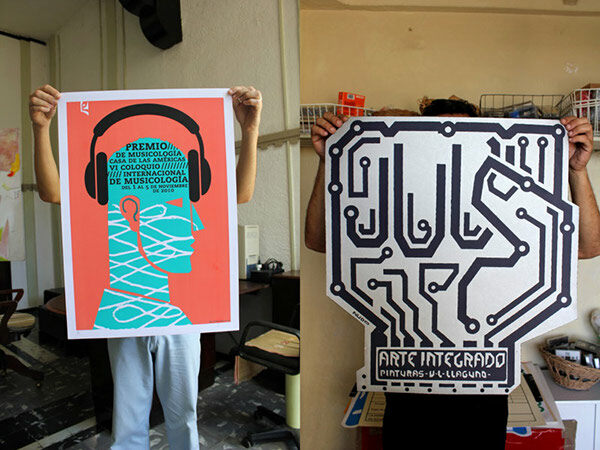 It deals with Cuban Poster Art and Cuban design - we want to give the talented young people in Cuba an international platform and share their awesome work. Additonally to the magazine, there shall be a bilingual translation (Spanish/English), expositions in Berlin, Paris and Leipzig as well as extra copies to be shipped to Cuba. These are extra expenses we ususally don't have. That's why we started a crowdfunding to fund these specials. Starting at EUR 8 ($ 10) you can help to get all extras funded. 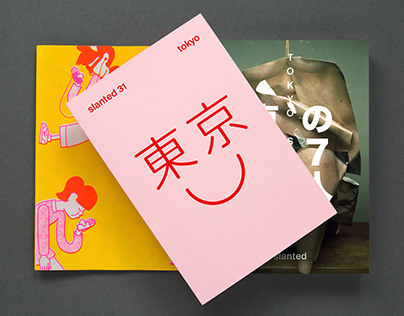 This special issue of Slanted Magazine will be printed in every case and all supporters will receive the pledged goodies for sure. 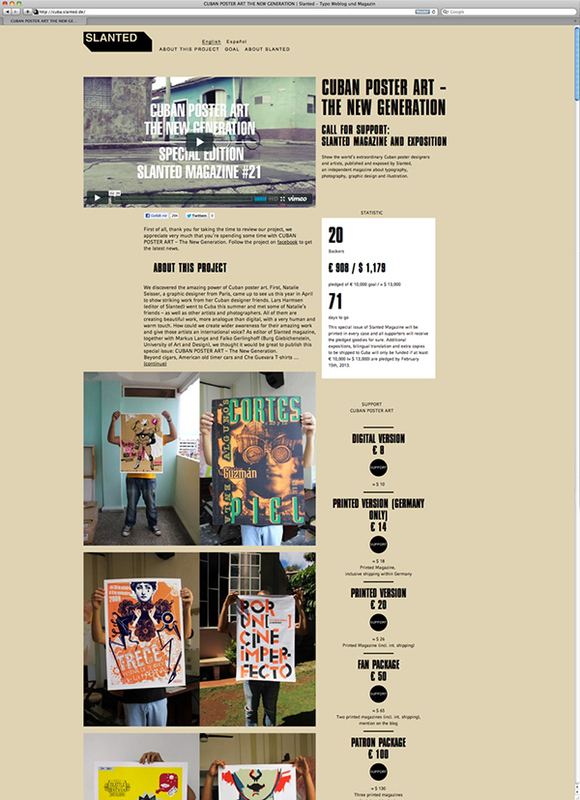 Additional expositions, bilingual translation and extra copies to be shipped to Cuba will only be funded if at least € 10,000 (≈ $ 13,000) are pledged by February 15th, 2013. Please help to make this project come true! 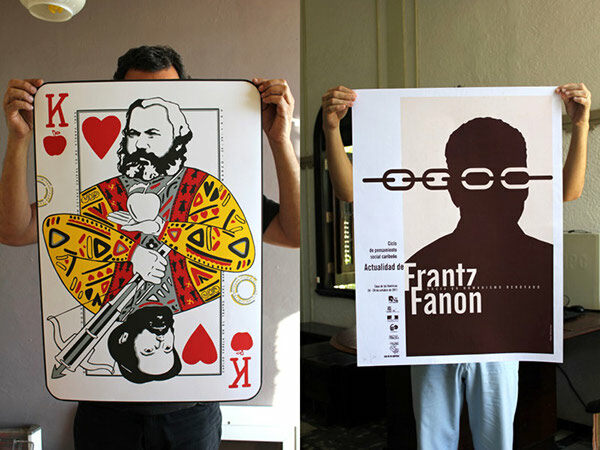 We discovered the amazing power of Cuban poster art. 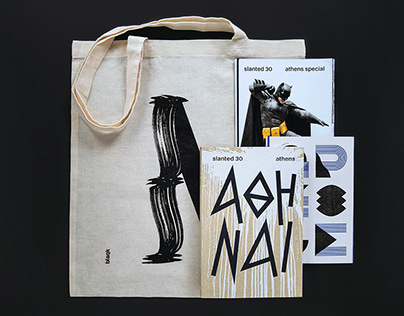 First, Natalie Seisser, a graphic designer from Paris, came up to see us this year in April to show striking work from her Cuban designer friends. Lars Harmsen (editor of Slanted) went to Cuba this summer and met some of Natalie’s friends – as well as other artists and photographers. All of them are creating beautiful work, more analogue than digital, with a very human and warm touch. 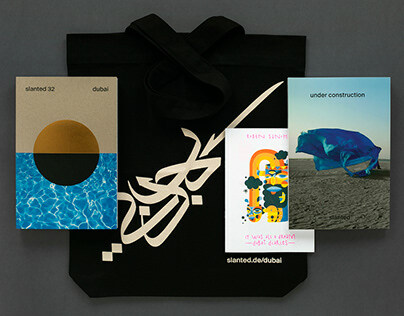 How could we create wider awareness for their amazing work and give those artists an international voice? 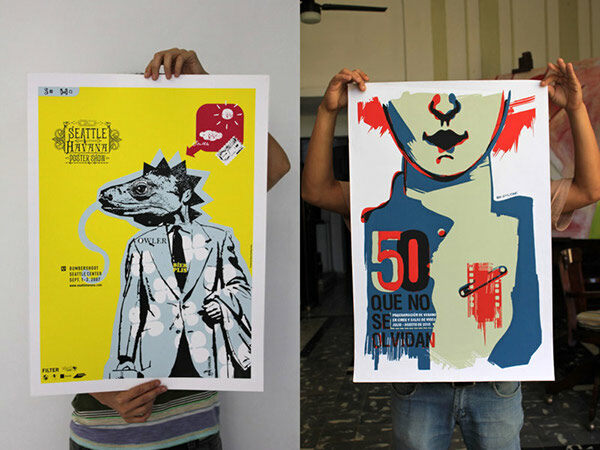 As editor of Slanted magazine, together with Markus Lange and Falko Gerlinghoff (Burg Giebichenstein, University of Art and Design), we thought it would be great to publish this special issue: CUBAN POSTER ART – The New Generation. 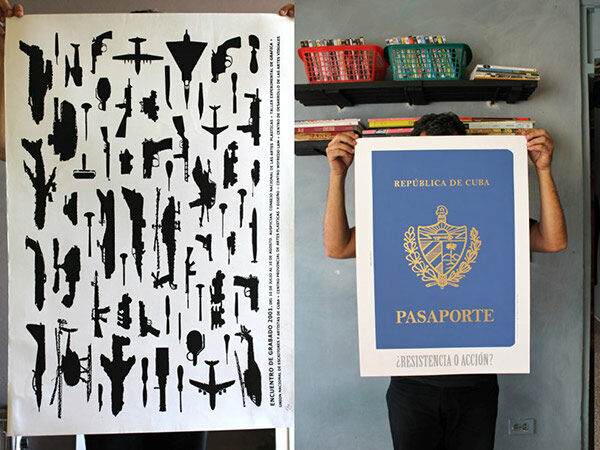 Beyond cigars, American old timer cars and Che Guevara T-shirts Cuba has a strong tradition of graphic design. From the fifties until the embargo the county has been a major center for new ideas and creative design experiments. Nowadays the contrast is striking as there is in Cuba barely any publicity billboards, packaging, flyers, stickers, brands … They have all been replaced over the years by government propaganda posters but against all odds the spirit of creativity remains still much alive. 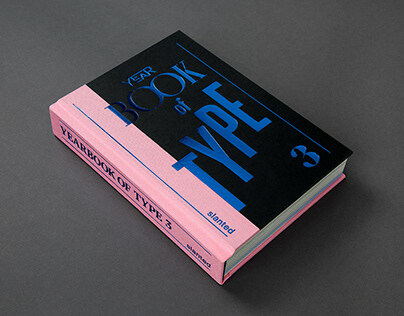 Since the nineties a new generation of graphic designers has emerged and they hold on tight to the course of history. They are unfortunately still unknown and they strive to survive in a complicated economic and political situation without any means to be recognized by the rest of the world. 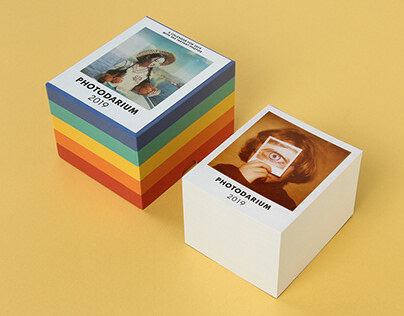 During over fifty years of revolutionary power, the history and evolution of Cuba are connected to images and pictures. The society is based on culture and puts forward its creativity and diversity. 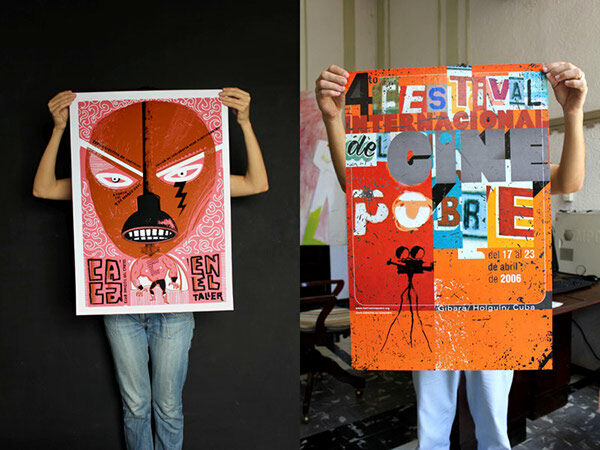 Cuban poster production has reached its summit between the years 1965 and 1975. 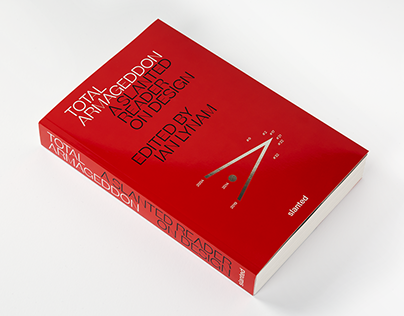 Artists and Graphic Designers have created their own efficient graphic language in order to educate and convey revolutionary ideals. 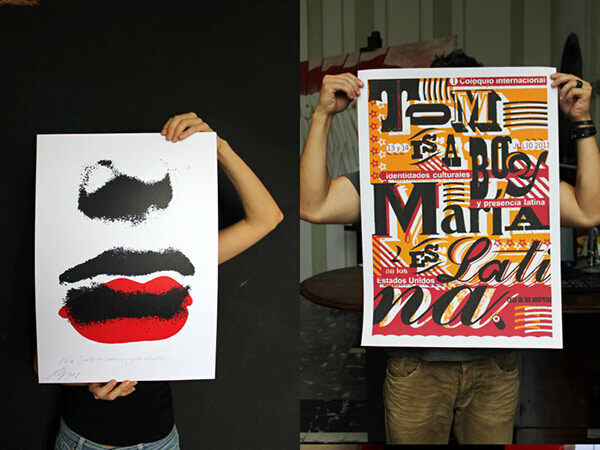 The history of Cuban Graphic Design has seen then the birth of its masters. From the eighties, Cuba has suffered many economic difficulties due to the deterioration of exchanges with the USSR caused by falling of the socialist block. Material means became scarce in the studios and orders were rare, the poster was – as a consequence – no more a nation priority. 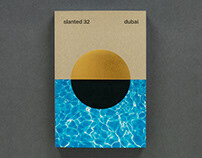 A majority of graphic designers decided to leave the country and a part of the island culture disappeared with them. In 1984, the government opens the first Graphic Design School in the country, the ISDI (Superior Institute of Industrial Design) with the target to train professionals in the Design and Communication sector. 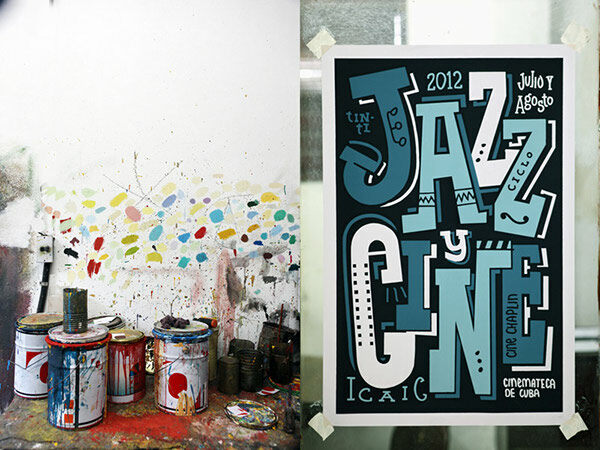 Five years later, the first Graphic Designers graduate, start to work and boost the poster production. 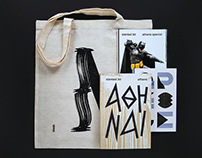 Little by little the organisms work again with this new generation and the history of Cuban Graphic Design is revived. 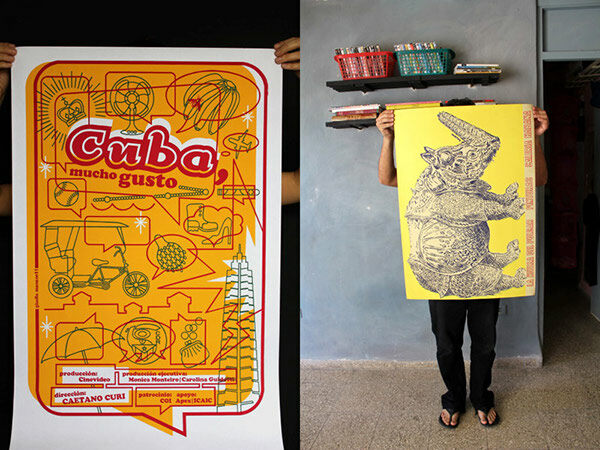 This special issue of Slanted, CUBAN POSTER ART – The New Generation, will be released in spring 2013, attracting attention to an international level. 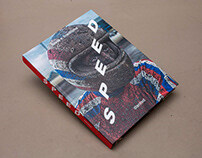 This project has the goal to raise EUR 10,000 (~ $ 13,000). The funding of this project will enable us to share what we see as being an extraordinary inside view into Cuban design, reflecting the reality of life in Cuba and the beauty that lies within its complexity.